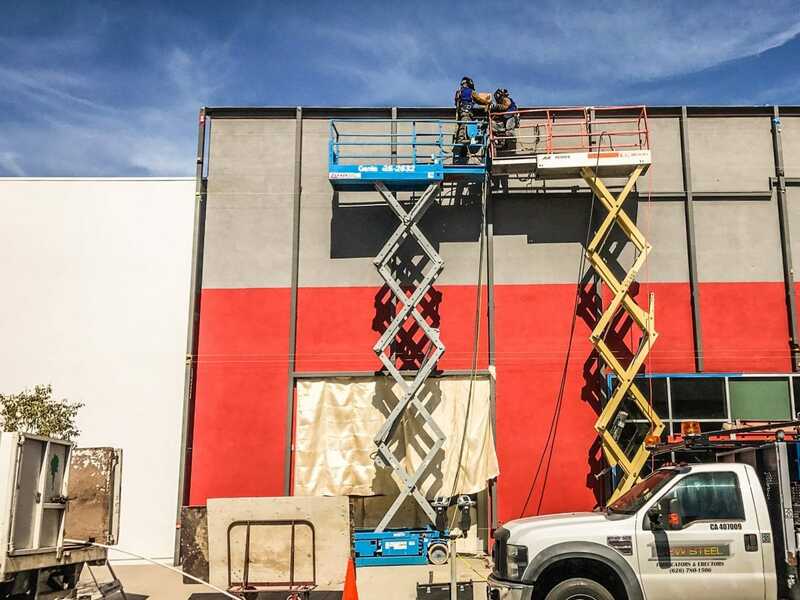 Construction continues on City Place, where it will welcome the new BurgerIM chain. Photo by Brian Addison. Unsure if Downtown Long Beach’s visitors, workers, and residents aren’t already content with the quality of the plethora of high-quality gastropubs in the vacinity–Beachwood, Beer Belly Congregation, and Dog Haus are all within a block—the newest addition to the eating scene will be BurgerIM at the northwest corner of 3rd and Long Beach Blvd. in the still-in-renovation-mode City Place. Okay, technically not a gastropub because it won’t be serving, well, beer—but if you’re gonna be slingin’ more heavy food at me, Long Beach, at least provide me the decency of a good buzz. And while it will sit literally across the street from Dog Haus and Beer Belly on 3rd, it will be rock throwing distance from Beachwood, Congregation, and Hamburger Mary’s as well. My critique of DTLB overdosing on the burger scene isn’t a slight to BurgerIM, DTLB, or City Place—but it is very much an alarm that the following places need to be nixed from the future agenda of DTLB eateries so we can expand our options: gastropubs, Thai joints, coffee joints, poke, and chains. What would be a warm welcome to the culinary conglomeration: ramen (just one joint in Bixby Knolls isn’t enough), Ethiopian (there’s a woman who makes it out of her home in LB as a cottage business but that is it), Central American (El Salvadorian or Honduran, perhaps? ), a distillery (please), barbecue (we’re eyin’ you, Robert Earl), anything remotely within the spectrum of Petit Trois to All Flavor No Grease… I could go on and on as could a ton of residents. Reach out to ’em—they’re rich with ideas. Meanwhile, we’ll welcome BurgerIM with open arms (just know we’ll be stepping across the street if we want our sliders with beer).